Welcome to 2019. I trust the resolutions are holding. For me, I’m convinced those bathroom scales are faulty! 2019 offers change, and hope, more than many a year. A new federal government will be in place mid-year led by Bill Shorten or Scott Morrison. Labor’s once-in-a generation review of post-school education holds major promise – a serious investigation to set up tertiary education for the demands facing Australia. The quick-fire review of VET offered by Morrison will have to be just that. Nevertheless, although somewhat belated, the attention is welcome. There were enough views on the table in 2018 to help guide the way. Jennifer Westacott deserves credit for bringing attention to VET in late 2017 and through the BCAs final report – Future-Proof – released in August last year which reinforces the need for a lifelong learning culture in Australia, lest we are left behind our competitors. Innovation and Science Australia released its 2030 plan in January highlighting VET in need of a new strategy to make it responsive to new priorities and technology, but the Government said nothing needed to be done! The Mitchell Institute warned in April that if current participation rates in VET continue, then as night follows day, so will skill shortages of the highest order. 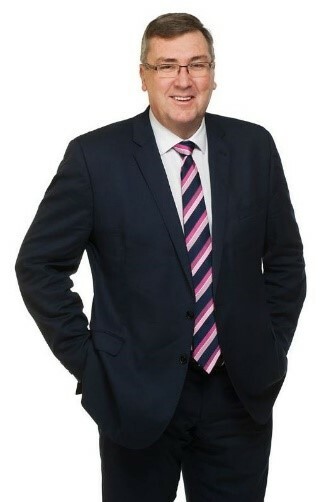 Stephen Parker AO, as the new education lead for KPMG, offered practical suggestions for a tertiary education ecosystem designed to meet the needs of a more dispersed set of demands for trained minds and skilled hands. Not to be left behind, the NOUS Group’s Robert Griew contended that the cross-subsidisation of university research funding from teaching funds should end and said focus on teaching and learning in VET has more chance to bring success to the sector than the current faith in Training Packages. Parliament entered the fray in its report Hope is not a strategy — our shared responsibility for the future of work and workers which said VET should provide learners with broad transferable skills and called for reversal of funding cuts to the tertiary sector. When Joshua fought the battle of Jericho, the Old Testament story goes, he had his army circle the walled town seven days in a row and on the seventh ordered his troops to blow their horns. The battlements crumbled and the town was seized. Some of the old battlements of VET must go! The warnings are there. Let’s see what Morrison or Shorten deliver in 2019. While it was a time of rest and reflection for many, there were some in the VET sector who have been hard at work preparing for the busy year that looms. The main issue on the horizon is the federal government’s Expert Review of the VET sector to be conducted by Steven Joyce, the former New Zealand Minister for Tertiary Education, Skills and Employment. Submissions to the VET review are due by this Friday. There is also the federal government’s Review of the Australian Qualifications Framework (AQF). It is the first review of the AQF in seven years and comes at a time of intense focus on the national approach to qualifications in senior secondary school, VET and higher education. Submissions to the AQF review are due by 15 March. The AQF review expert panel, headed by Peter Noonan of Victoria University, has released a discussion paper. There will be a stakeholder consultation process during February and a report to the government due next July. The Federal Budget has been moved from its traditional date in May to April 2, in order to fit in with the federal election due in May. Pre-budget submissions are due by 1 February. There is the NSW election to be held on 23 March, followed by the federal election in May. South Australian Education Minister John Gardner said just one minor technical matter was identified across the entire report, which TAFE SA will fully rectify before training commences in 2019. “This report delivers a clean bill of health for TAFE SA and is a significant step in restoring the community’s confidence in the organisation,” he said. He said that TAFE SA’s continuous improvement program would ensure its education and training meets the rigorous standards of all regulatory bodies and the expectations of students. The National Centre for Vocational Education Research (NCVER) has a new chair, Dr Ruth Shean (pictured), who was appointed earlier this month, replacing Dr Peter Shergold. Dr Shean is an experienced non-executive director who has served on both government and not-for-profit boards. 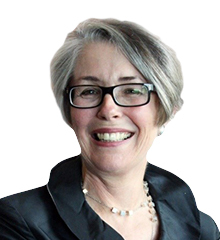 She was the Director General of the Western Australian Department of Training and Workforce Development and, prior to that, Commissioner for Public Sector Standards. She also served as Director General of the Disability Services Commission, and Director General of the Department for Community Development. Dr Shean was recently appointed to the board of Catholic Professional Standards, which was set up in response to the Royal Commission into Institutional Responses to Child Sexual Abuse. She was also CEO of the Cerebral Palsy Association and served on governing councils of both Curtin and Murdoch Universities. TDA extends its congratulations to Dr Shean on her appointment. Four organisations have been selected by the Queensland government to receive a total of almost half a million dollars to promote apprenticeships and traineeships. The funding represents the second round of the Advancing Apprentices Fund which allocated round one funding last year to three industry groups – Restaurant and Catering, Hardware Australia and the Apprentice Employer Network. The federal government has announced a wide-ranging review of nursing education, practice and qualifications – the first since 2002. The Minister for Regional Services Bridget McKenzie said that the review would examine how nurses are prepared and educated to ensure they continue to meet the expectations of the community and maintain their professional standards. Titled, Educating the Nurse of the Future, the review will be conducted by Professor Steven Schwartz, a senior fellow at the Centre for Independent Studies and the former Vice-Chancellor of Macquarie University, and the former chair of the Australian Curriculum, Assessment and Advisory Authority (ACARA). The federal government has reversed its decision to withdraw from the OECD Survey of Adult Skills (or PIAAC). It was reported in November that the government was withdrawing from the survey, which collects data on literacy, numeracy and problem solving capacity of Australian adults. The data provides a rich source of information for researchers and stakeholders in advancing public policy in the area of adult learning and workforce development. TDA welcomes the government’s decision to maintain its involvement in this valuable program of international measurement. The outlook for Eastern Indonesia’s expanding tourism sector and opportunities for Australia to become involved will be the focus of the Australia-Eastern Indonesia Tourism Forum, hosted by the Australian Consulate-General in Makassar, 4-5 March 2019. It will bring together tourism practitioners, professionals and experts from Australia and the provinces of eastern Indonesia, for two days of discussions, networking and sharing of experiences. Keynote speakers include the Governor of South Sulawesi, Professor Nurdin Abdullah, whose vision includes making South Sulawesi a world-class tourism destination, the Mayor of the City of the Gold Coast, Tom Tate, and a leading expert on sustainable tourism, Steve Noakes. There will also be a range of speakers on topics as diverse as hospitality industry training, destination management, digital marketing, and sustainable tourism development. Participation in the event is free but accommodation and transport is at your own expense. Digital disruption in the VET sector, and across the Australian workforce, is forcing TAFEs, colleges and polytechnics to become more competitive, innovative and consumer oriented. With students increasingly expecting to be able to learn and access information from any device, at any time, VET institutions need to evolve. And in an industry where the success of an institution is measured on student feedback, keeping up with student expectations is a necessity. According to industry leaders at the World Federation of Colleges and Polytechnics 2018 World Congress, technology holds the secret to success. Hear from your peers at the World Congress about the key issues facing the industry, the role technology can play, and how other institutions are keeping up with rapidly changing student expectations. The date and theme have been set for the AVETRA (Australian Vocational Education and Training Research Association) conference. With the title, No future for old VET’: Researching for the training system/s of tomorrow, the event will be held at Parramatta, Sydney on 17-18 June 2019. The call for research-based papers will be made soon. Topic streams (to be confirmed) will be: The other ‘E’ in VET (equity, social justice and marginalised learners); Teaching, Learning and Curriculum; Theorising VET; The ongoing debate about CBT; Industry and workplace training; Regulation, governance and policy-making; VET for industry 4.0, for new forms of employment, and for a globalised labour market.